Chablis, located on the northern end of the Cote d'Or in Burgundy, is one of France's legendary wine regions. While the popularity of Chablis has inspired copies all over the world, true Chablis can only be produced on the 6,830 hectares of land that comprise the appellation of Chablis. Wines from Chablis are always 100% Chardonnay and are often described as having a characteristic hint of ôgunflintö, deriving from the regions special Kimmeridgien limestone soil. There are a total of four appellations that make up Chablis: Chablis Grand-Cru, Chablis Premiers-Crus, Chablis Village and Petit-Chablis. The Chablis (pronounced as “Shah-blee”) grapevines produce some of the purest expressions of Chardonnay. These dry white wines are renowned for their trademark racy green apple flavours, high acidity and their steely character. Some of the wines can also have “flinty” notes known as “gout de pierre à fusil” (gunflint) or “wet stone” nuances. As these wines age, this mineral character becomes more intense before mellowing into a honeyed personality. 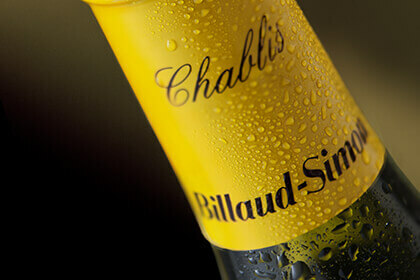 Chablis therefore isn’t just any other Chardonnay. It’s one that dances on your palate and awakens your senses to show you just how sublime a Chardonnay can be. 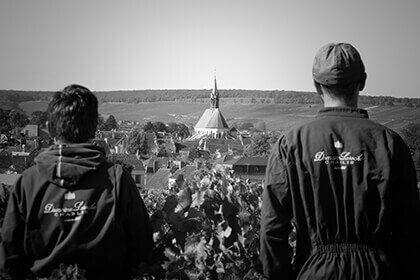 Winemaking goes back to the ancient Roman times in Chablis just like many other regions in France, but it wasn’t until the Cistercian monks of the Abbey of Pontigny came along in 1114 and founded their abbey, which soon became well-known and got donated vines to meet its needs. From then, the vineyards and region started to flourish and become commercially viable. The region further developed in the twelfth and thirteenth centuries with the construction of the Saint Martin and Saint Pierre (the patron saint of Chablis) churches, as well as the Hôtel Dieu, the Saint Cosme priory and the Petit Pontigny cellar. For building the walls around the town of Bourg in 1405, vintners had to turn over 10 percent of their harvest for 8 years to help pay for the construction. The Yonne River also helped support this economic boom since Chablis wines could easily be transported to Paris, and thus establishing a lucrative trade with the capital for some time. However, Chablis’ prosperity took a downward turn when the Huguenots attacked in 1568. They completely burnt down the Faubourg (the upper town) and then ransacked the Bourg. The English helped bring back prosperity to the region when they discovered Chablis wines in the seventeenth century and started importing large volumes of them. By the nineteenth century, Chablis had almost 40,000 hectares of vines stretching from the town of Chablis to Joigny and Sens along the Yonne River. Russian novelist Leo Tolstoy’s even mentioned the popularity of Chablis in his novel Anna Karenina as “classic Chablis” being the commonplace choice of wine. However, the development of the railway system ended Chablis’ monopoly over the Parisian market since it now faced stiff competition from other regions that had gained access to the market with new railway links. Chablis took another hit to its prosperity when phylloxera ravaged its vineyards from 1887. It would take 15 years to replant the vineyards with rootstocks to counter the phylloxera onslaught. This downward spiral was too much for producers, so many of them gave up winemaking and only 500 hectares of vines remained by the 1950s. Fortunately, Chablis is enjoying a comeback, especially since Chardonnay lovers have turned toward leaner styles of the variety after the end of the full-bodied “peaches and cream” trend that typified the 1980s and 1990s. Chablis s in the northernmost part of the Burgundy region to the east of Auxerre in the Yonne department. Out of France’s wine-growing regions, only Champagne, Lorraine and Alsace are further north than Chablis, so it’s no surprise that Chablis has much more in common with Champagne in terms of climate. The region has a semi-continental climate, so this means grape growers face many challenges to get high quality grapes from their vines. Chablis does have hot summers, but the harsh winters are long and cold. The poor weather in the spring and fall can wreak havoc on the vines. Spring frosts can occur up until early May and end up killing the vines. When the frosts descend on the vineyards, grape growers have to act quickly to save their crops, especially since they have few options available to them. They can bring out hundreds of oil-burning heaters called “smudge pots” and spread them throughout the vineyards to give them direct heat so that the buds don’t freeze to death. The other option is to spray the vines with water when temperatures dip to 0°C – this is called aspersion irrigation. This water freezes and creates a protective layer of ice over the buds that acts like an igloo and keeps the buds and the rest of the vine warm. In addition to frosts, hail can wipe out entire vineyards in the springtime. Fortunately, the INAO finally authorized the use of anti-hail netting in all of France’s AOCs in June 2018, so Chablis grape growers now have a way to counter hailstones from clattering to the ground and wiping out their vines. 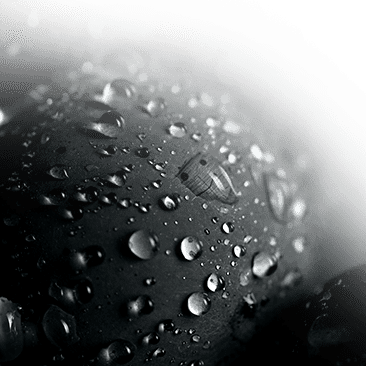 Lastly, too much rain in the spring or fall can also sabotage a vintage in which the wines end up too high in acidity and without ripe enough fruit to balance out the wine. In years when the temperatures get too warm, the wines are too low in acidity, so they end up as out-of-shape being fat and flabby. The elegance and leanness that have come to typify the personality of Chablis is not only due to its cool and temperamental climate, but also due to the unique soils that nourish and grow the vines, Kimmeridgean and Portlandian soils. The region’s calcareous Kimmeridge clay dates back 180 million years ago to the Upper Jurassic age. It’s a combination of mineral-rich clay, limestone and marine fossils, and is responsible for those flinty mineral notes in the wines. The use of oak in winemaking is a contested issue in Chablis. 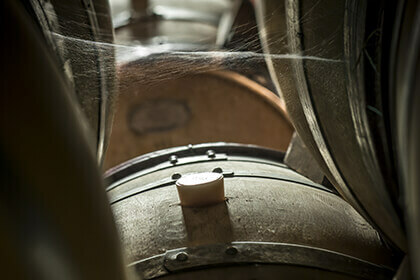 In the past, old wooden “feuillette” barrels were used to age Chablis. These barrels were neutral, so they didn’t impart the typical oak flavours like vanilla, cinnamon, and toast into the wines. It was difficult to keep these older barrels clean, so the wines could sometimes develop faults, including discolouration. As a result, winemakers eventually turned toward temperature-controlled stainless steel fermentation tanks since the tanks were much easier to keep clean. The controversy over oak arose when some winemakers decided to return to using wooden barrels in winemaking in the late twentieth century. The “traditionalists” reject the use of oak believing that it doesn’t represent the “Chablis style” while the “modernists” embrace its use as a way to add deeper texture to the wines. Nonetheless, compared to the white wines from the rest of Burgundy, the use of oak is minimal, especially since the amount of char in the oak barrels is quite low, so this limits the level of toast in the wine. Most of the basic AOC Chablis and Petit Chablis are unoaked and vinified in stainless steel tanks. The Grand Cru and Premier Cru wines do get some oak maturation in barrels, but there’s much less time spent in barrel and the use of new oak is smaller when compared to the white wines from Côte de Beaune. In 1938, the Institut National des Appellations d’Origine (INAO) classified the region as an appellation d’origine contrôlée (AOC) and this established production rules for the within the delimited area. With its AOC status, the name “Chablis” became protected and other regions could no longer sell wines under the same name. 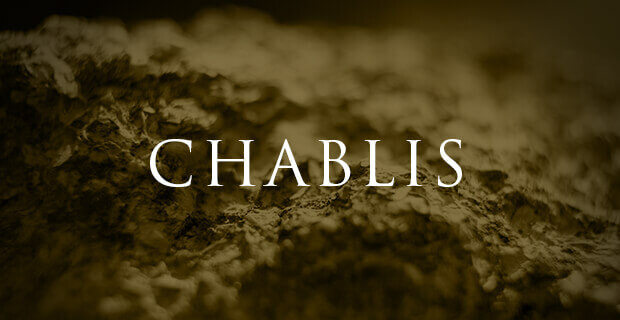 All of the Chablis vineyards come under four appellations, and each one has a different level of classification that reflects the differences in soil and slope in the region. These appellations include “climats”, an officially designated vineyard plot that reflect the climatic and geological origins of the wine, as well as “lieu-dits”, a smaller vineyard parcel known for its unique topography or historical importance. At the top of the classification pyramid are the Chablis Grand Cru vineyards that are all located on the southwest facing slope overlooking the town of Chablis on the right bank of the Serein River. The vineyards are at elevations of 150 to 200 metres and anchor themselves into the region’s renowned Kimmeridgean soil that consists of clay marl and fossilised oyster shells. It’s this soil that imparts a flinty minerality on the wines. The appellation has seven climats that include Blanchot, Bourgos, Grenouilles, Les Preuses, Valmur, Vaudésir, and Les Clos. They produce the region’s most acclaimed wines that have a racy elegance with vibrant fruit flavours like apricot and orange zest, as well as a tinge of smokiness from oak ageing. These Grand Cru wines can be cellared from 10 to 15 years. Second in quality are the 40 Chablis Premier Cru climats that are located on both sides of the Serein River. These 40 officially recognized plots are further divided into 80 lieu-dits. However, only about 20 of the climats are used on wine labels, with Montée de Tonnerre, Mont de Milieu, Vaillons and Fourchaume being the most well-known ones. Since the vines enjoy more sun exposed and have a higher proportion of limestone marl soil, the wines are slightly richer in fruit like lemon and starfruit and have a more distinct flinty mineral character. Premier Cru wines can be cellared from about 5 to 10 years. The next classification is the Chablis Village, which is the main appellation in the region. These wines aren’t as complex as those from the higher categories, but they are truly the most emblematic wines of the region with their citrus, pear and intense mineral notes. It’s the chalky limestone soil that contributes to this profile. Most of these wines are fermented in stainless steel tanks, and don’t get any oak for ageing. These wines are made to be enjoyed young, so you can keep them for only about 2 to 3 years. 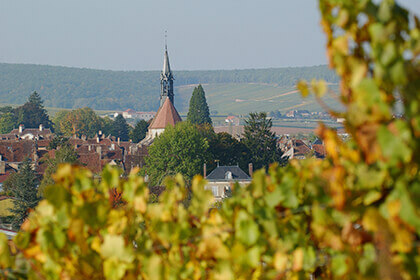 At the bottom of the pyramid sits the Petit Chablis Village that includes the outer areas around the town of Chablis. The vines grow in the Portlandian limestone soils on north-facing slopes and valleys, which get a fair amount of wind. Since the vines aren’t in the best position to get enough sun to fully ripen the grapes, you’ll get wines with higher acidity and more citrusy flavours. These easy-drinking wines are best enjoyed in their youth, and should be consumed within a year or two of their release. One of the region’s most esteemed producers is La Chablisienne that dates back to 1923. During this time, Chablis faced many economic hardships, so to withstand these difficulties Abbé Balitrand had wine growers join forces to create a cooperative winery to market their wines. It produces 30 different wines from all the appellations that cover Chablis and Petit Chablis wines, as well as 13 Premier Crus and 7 Grand Crus – including the illustrious Château Grenouilles. One of the most historic properties that has devoted its passion to creating the finest Chablis is Domaine Laroche. Part of the estate is a monastery, the Obédiencerie, with walls that date all the way back to the ninth century. The Domaine practices environmentally friendly viticulture in all of its appellations, including its 10 Premier Cru and 4 Grand Cru vineyard plots. Domaine Billaud-Simon is another historic estate where their Chardonnay vines have reigned supreme since 1815. On the left and right banks of the Serein River, the Domaine offers wines from all of the appellations, and counts 4 Premier Cru and 4 Grand Cru cuvées as part of its collection. The vineyards are planted with old vines that have an average age of 50 years, and give crystalline wines that are light-bodied with beautiful salinity. Last but not least, you can’t leave Chablis without mentioning the acclaimed Domaine William Fèvre that has been making irresistible Chablis since 1959. The Domaine is the biggest landowner with 78 hectares and 90 separate parcels. The wines are of great complexity and astonishing richness, and come from all the region’s appellations, which include 8 Premier Cru and 6 Grand Cru wines. Chablis is indeed like no other Chardonnay. Once it waltzes across your palette with all of its vibrant fruitiness, attractive freshness and distinctive minerality, you’ll wish the dance would never end.